Have you ever wanted to be a rogue planet soaring through space? How about a black hole gobbling up everything in your path? Well in Solar 2, an open world sandbox game by indie developer Murudai, you can! 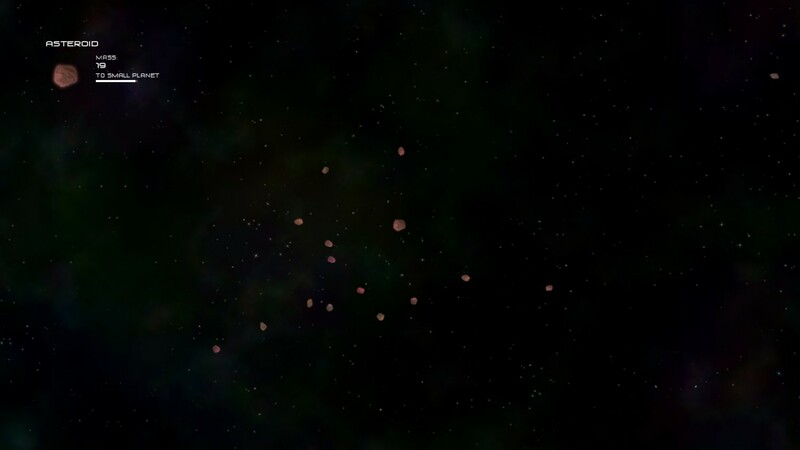 Solar 2, available on Android, PC and Xbox 360, is a relatively simple game wherein the player uses minimilist controls to move through the universe as various stages of matter, from a single asteroid to an entire solar system. In a design that is reminiscent of Spore’s bacteria stage, the ultimate aim of the game is simply to grow as you work your way up the planetary food chain. The player is set free to roam the universe as they please in a laid-back approach that, along with artistic scenery and beautiful background music, makes for a fairly relaxing experience. Rather than drifting through space in isolation, however, there are other, randomly-generated asteroids, planets and stars for you to encounter, as well as a guiding entity throughout the game that leads you from one stage to another. The entity acts as a sort of deity, both benevolent and malevolent, providing often-humorous tasks along the way that help to diversify the experience offered by Solar 2. Some of the tasks set for you can be difficult, sometimes frustratingly so, but ultimately they provide a satisfying challenge that does well to break up the monotony of simply trundling through space. I am Tim, king of the asteroids! The simplistic concept and controls for Solar 2 belie a complexity that lurks just beneath the surface. That is: the various stages of matter throughout the game are all affected by gravity, with more massive objects like stars affected by it more. Not only does this create a sense of depth and progression throughout the entire game, but it also adds to the challenge, making what would otherwise be reasonably simple tasks nightmarishly difficult. The player can even adjust and change these settings themselves, unlocking more options as they play more of the game, leading to some fun and crazy experiences. Who needs scripted game-play when you can set negative gravity and watch as the universe parts before you like the Red Sea? 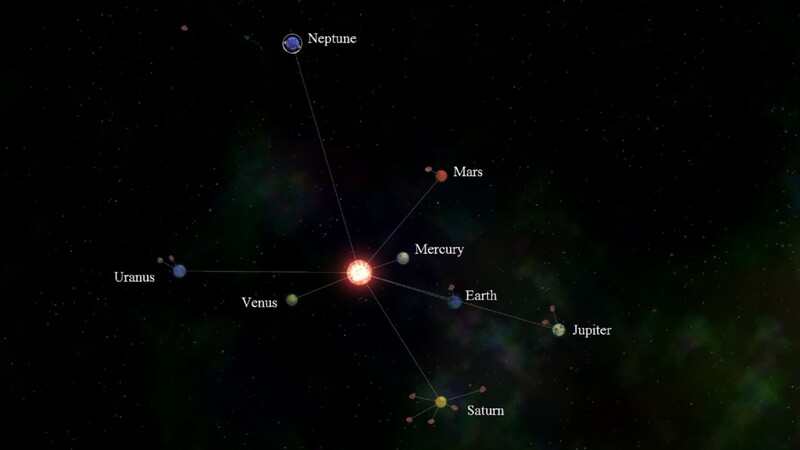 Or what about using the physics settings to help you to build a model replica of our solar system? Somewhere along the line Phobos crashed into Io and Neptune developed life; but hey, close enough, right? 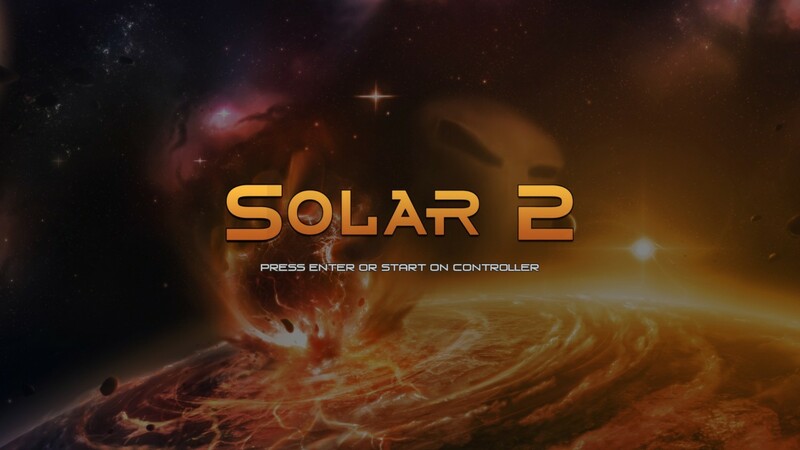 Ultimately Solar 2 is an indie game, though, and it is about as short as you would expect from its relatively modest price of £5.95 (£3.49 for Xbox 360). The scripted tasks throughout the story mode are fun but they can only take you so far; what turns Solar 2 from an average game into a good one is its replayability. The diversity of the Solar 2 universe had me coming back again and again, even after I had completed it, and each new play-through I would find a way to play the game that I hadn’t thought of before. 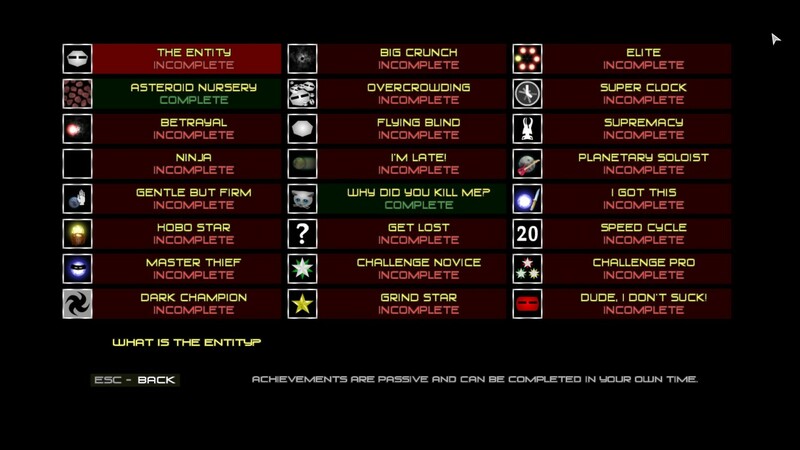 There’s no clear path from one stage to another, and the speed at which you can progress through some of them means you can end up missing a lot the first time around; there was always some task I hadn’t completed, always some achievements I hadn’t unlocked and, outside of playing through the main game again, there were also challenges that had become available, serving as mini-games with arcade style high-score systems that can be both fun and addictive. To conclude, Solar 2 stands out among many indie titles as an example of excellence; it’s a unique idea backed-up with some stunning artwork and well-thought-out story progression. With a limited number of things to do, however, it can at times feel slightly less like a game and more like an interactive work of art. If you’re looking for an epic sci-fi adventure then you will likely be disappointed, but if you go into it with the knowledge that you’ll be paying a relatively small amount for an unconventional but thoroughly enjoyable experience, then Solar 2 is well worth the try. If you're looking for an epic sci-fi adventure then you will likely be disappointed, but if you go into it with the knowledge that you'll be paying a relatively small amount for an unconventional but thoroughly enjoyable experience, then Solar 2 is well worth the try.